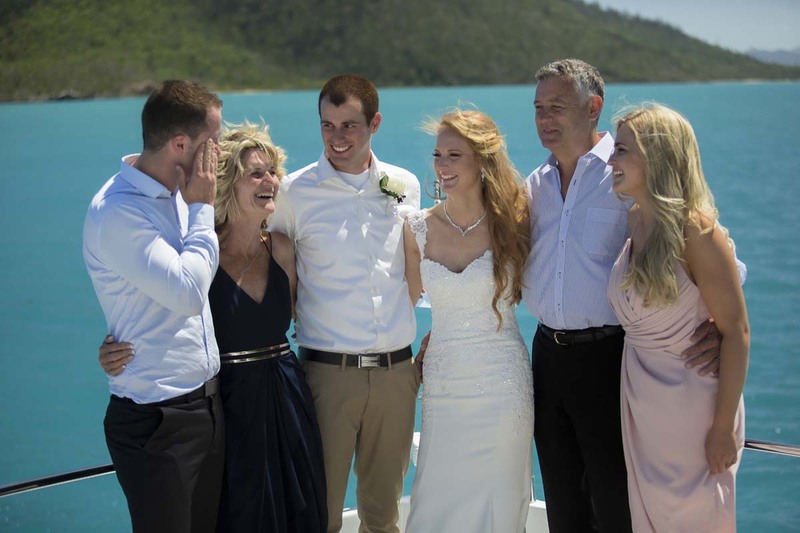 As a professional wedding celebrant, my aim is to make your wedding ceremony in Airlie Beach and the Whitsundays simply unforgettable. 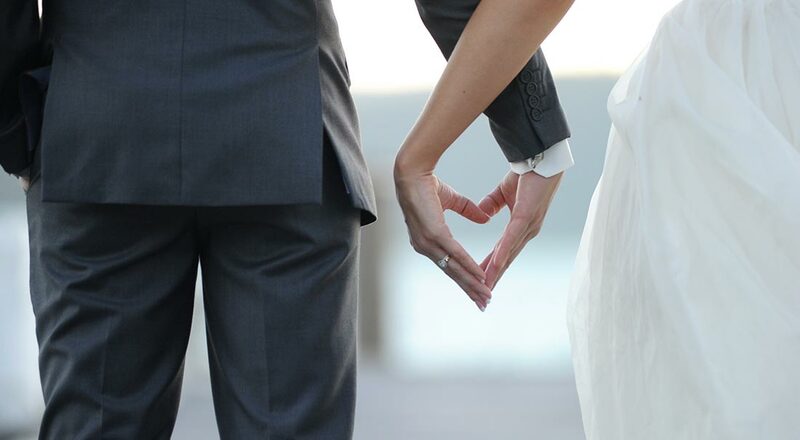 Your wedding is probably the most important day of your life and I am passionate about working with you as your wedding celebrant to create a magical occasion that truly reflects your love for each other. 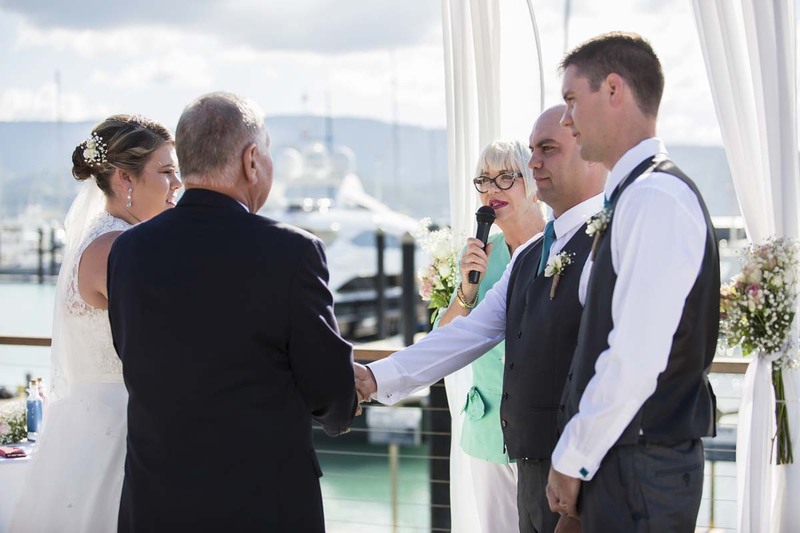 I also perform commitment ceremonies and vow-renewals in Airlie Beach, the Whitsundays, along with Central Queensland and North Queensland. 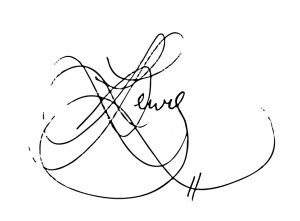 My name is Annie Lloyd-Lewis and, as your qualified Civil Marriage Celebrant, I will be with you every step of your journey. 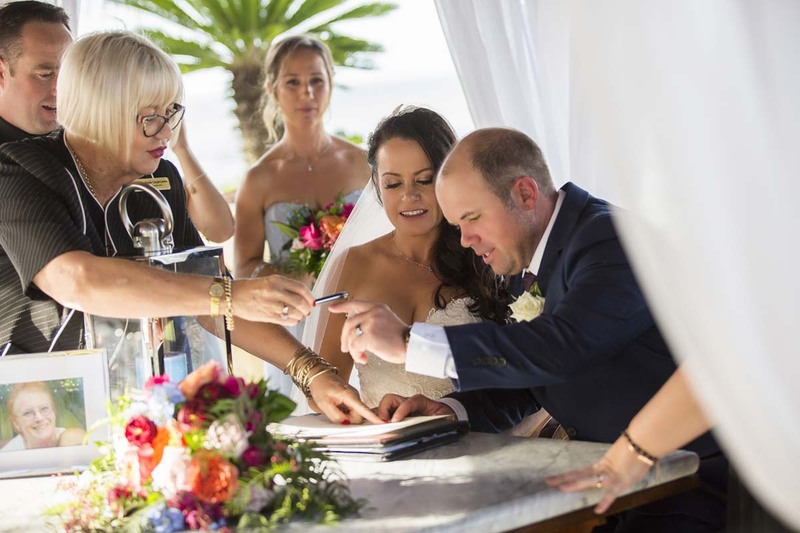 I take care of all the legal documentation and can provide you with a selection of readings, vows and declarations to choose from for the service. Alternatively, you can write your own ceremony and I am happy to provide guidance. Most importantly, I will be there with you, on the day, as you declare your love for one another and I am passionate about creating a truly beautiful occasion for you. 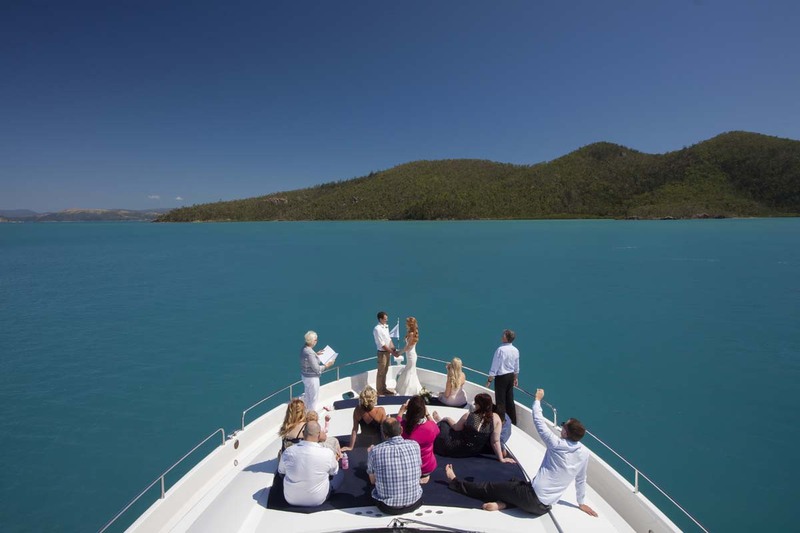 Welcome to the wonderful Whitsundays – the wedding heart of Australia. 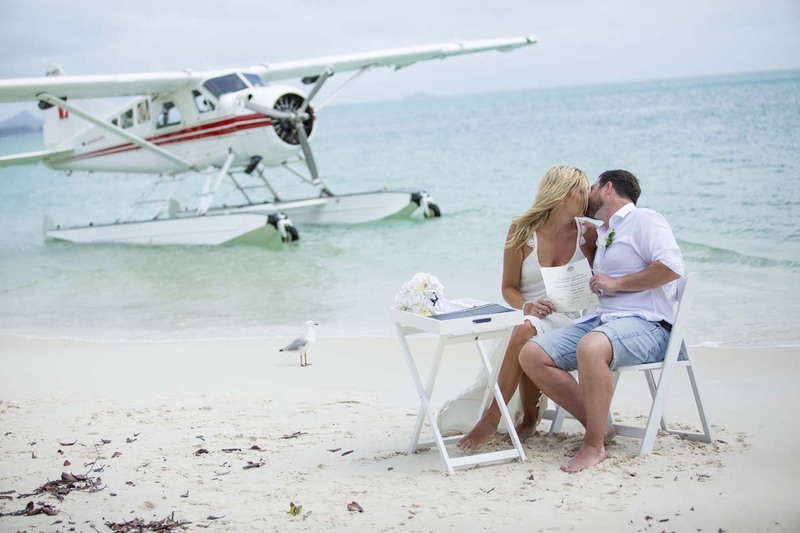 Whether you choose a beach wedding, a Whitsunday resort, a private home, your holiday accommodation or a boat for your wedding I will help you create a truly unforgettable day. 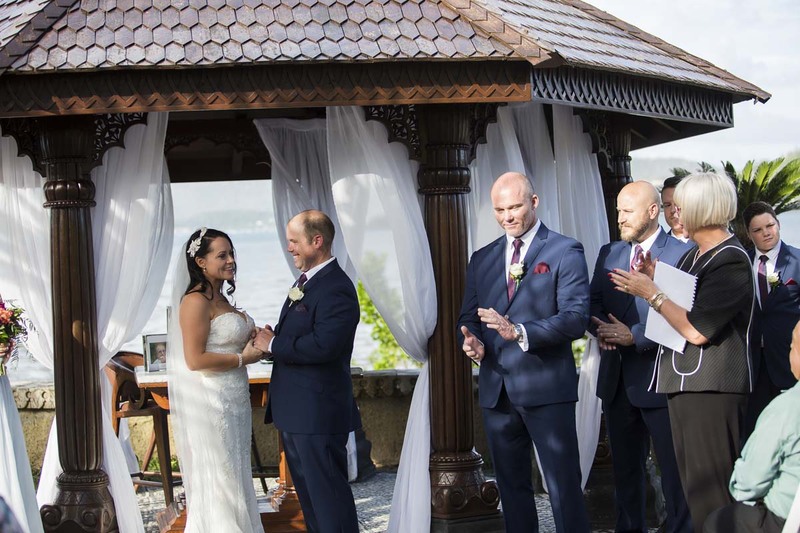 Living in the UK while trying to organise your wedding in Australia should have been a highly stressful process, but thanks to Annie's guidance and help throughout the lead-up to the wedding this was simply not the case. Thank you so much for making our day so special and memorable! Annie was very friendly and forthcoming with all the information. Everything was explained wonderfully and all questions answered promptly. She provided a wide range of ceremonies that were easy to put your own flare into. 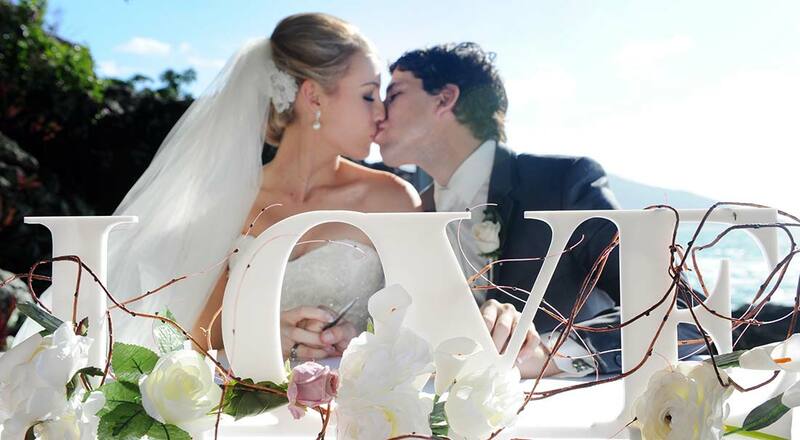 The ceremony could not have been more perfect – it was beyond my expectations. 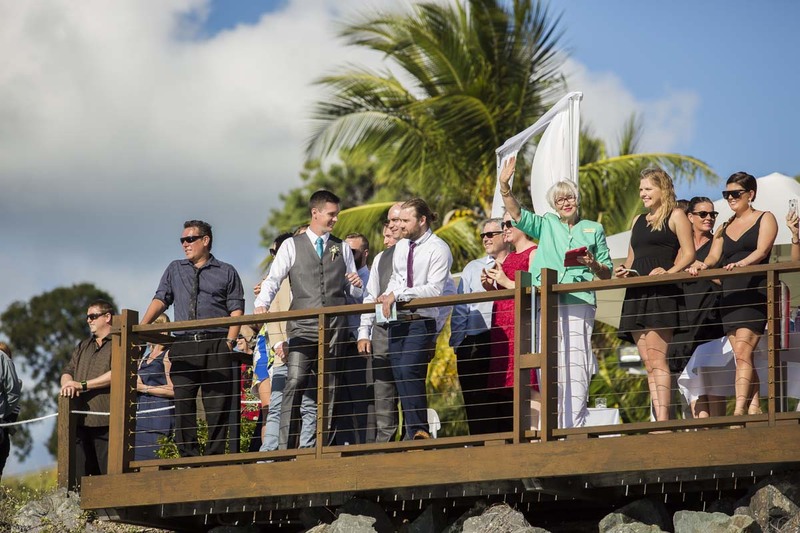 Annie, the ceremony you conducted for our wedding at Airlie Beach was beautiful and very heart-warming. We love the effort you made to include those personal touches. All our guests commented on how intimate the ceremony was, and how your personality brightened what was already a beautiful day. We just wanted to thank you so much for the beautiful ceremony you gave us. 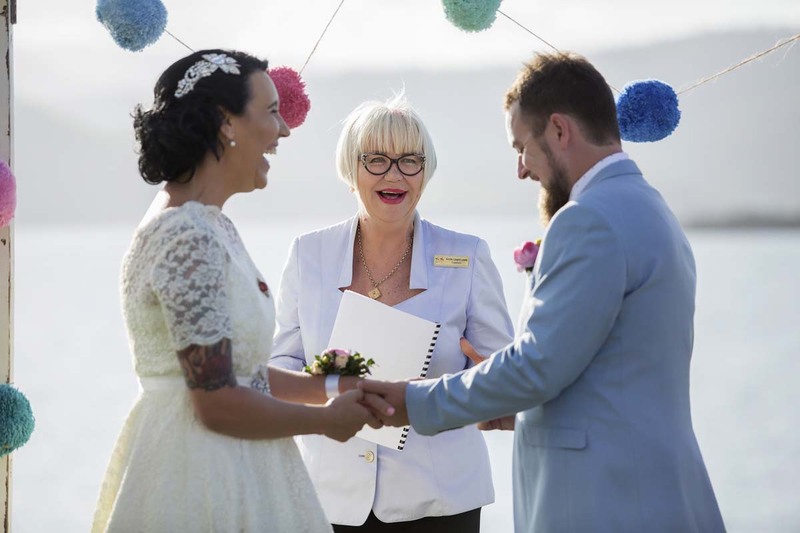 You were wonderful and we loved having you as our celebrant. So many people also commented on how well you spoke and how lovely you looked. We had an amazing wedding, everything we dreamed of. We loved the fact that you wanted to be as non-intrusive as possible. 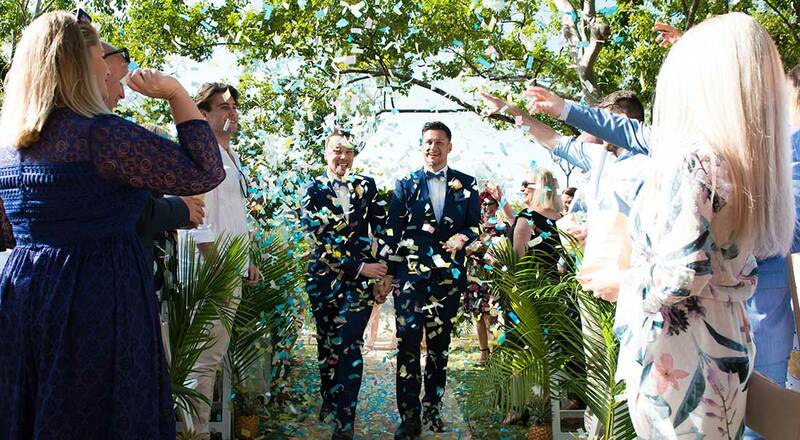 We have seen a lot of weddings where the celebrant almost 'takes over'. We met with a number of celebrants before our wedding and Annie Lloyd-Lewis stood head and shoulders above them all. I also think she got as excited by the wedding as we did! I swear I saw her shed a discreet tear during the ceremony. 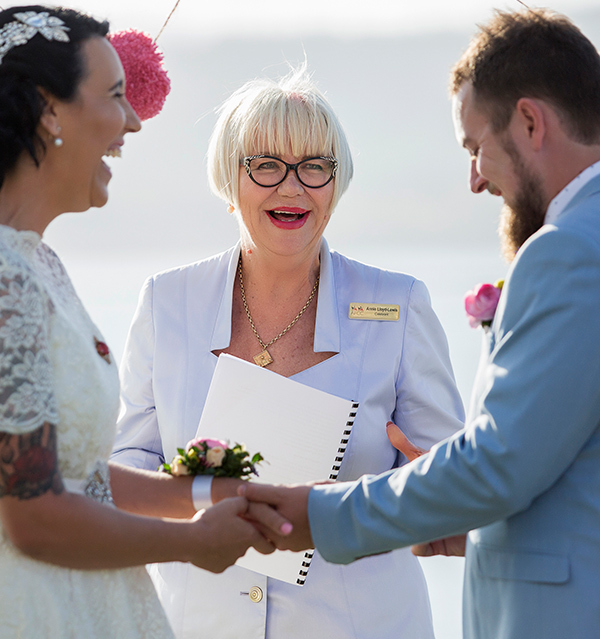 The fees you can expect to pay for a civil celebrant will depend on a number of factors; the experience and skill of the celebrant, the style and complexity of the ceremony, and whether or not the ceremony is custom-crafted specifically for you. 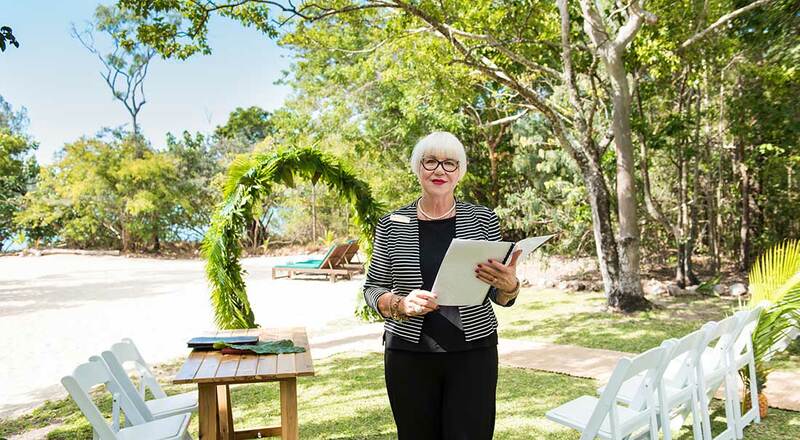 As an entertaining and engaging Civil Celebrant my philosophy is a simple one; deliver great service, terrific value for money and a magical, memorable experience for my clients and their guests. My fees range from as little $450 to in excess of $850; depending on the nature, style and complexity of your particular ceremony. Flexible payment plans can be arranged on request.